Skrei is cod that is caught between December and April in the Northeast Atlantic when it migrates from the Barents Sea area to the Northwest of Norway to spawn. The name was derived from the Old-Norse word skrida, which means something like traveling or wandering (it also sounds like the Dutch word schrijden, which means to stride). 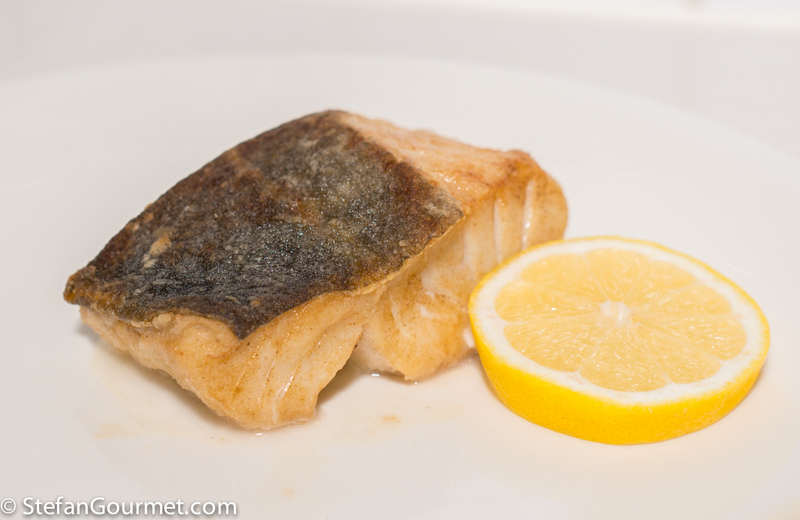 This time of the year skrei can often be found on restaurant menus as a seasonal specialty. 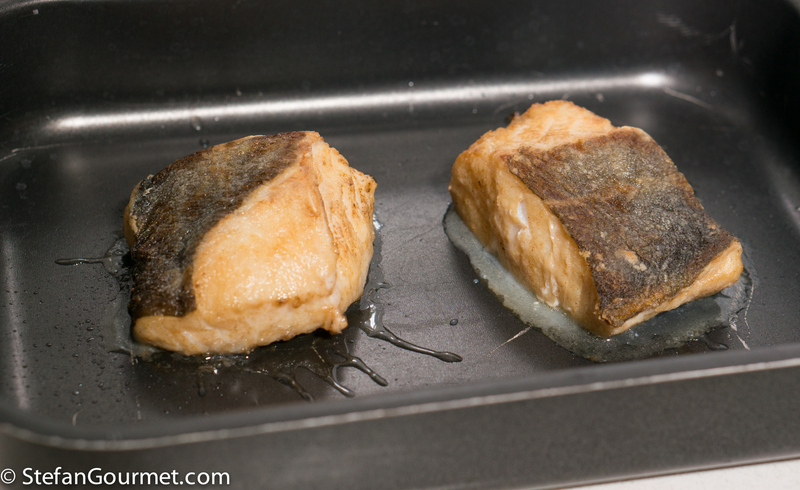 My preferred way of preparing cod is to bake it in the oven, using a thermometer to make sure it’s not overcooked. In this case I briefly cured it first to flavor it and firm up the flesh. I left the skin on, but it doesn’t come out crispy so next time I’ll probably remove it. 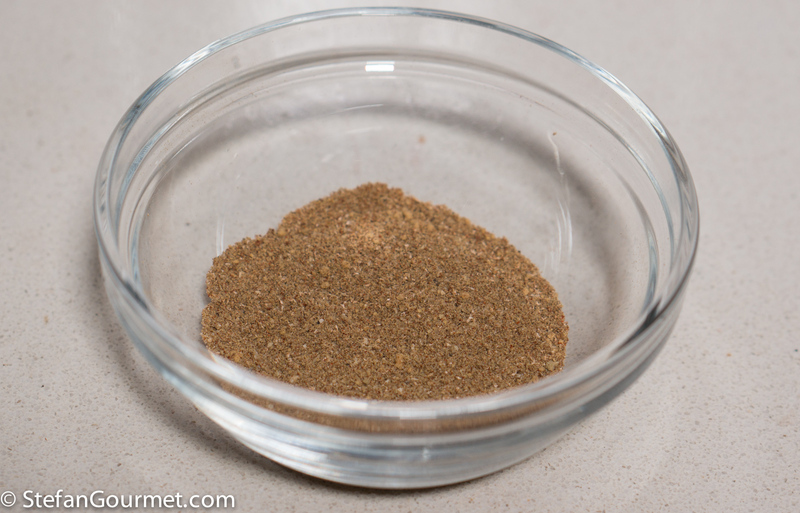 Mix the salt and the spices in a small bowl. 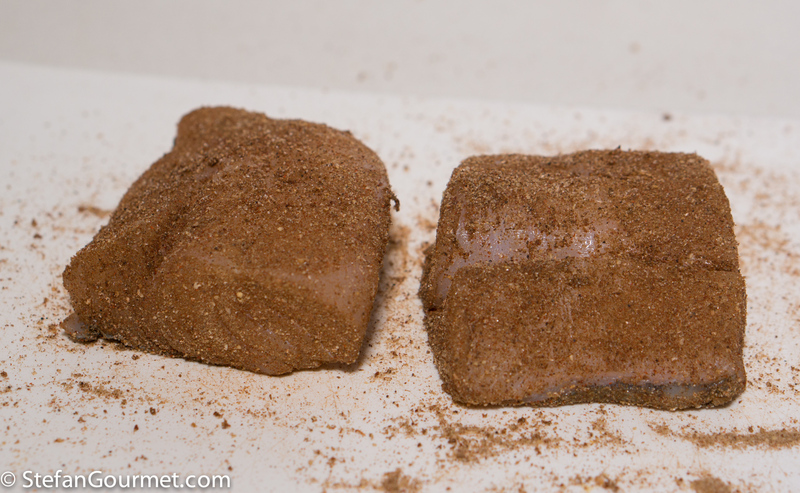 Cut the fish into serving pieces and coat on all sides with the spice mix. 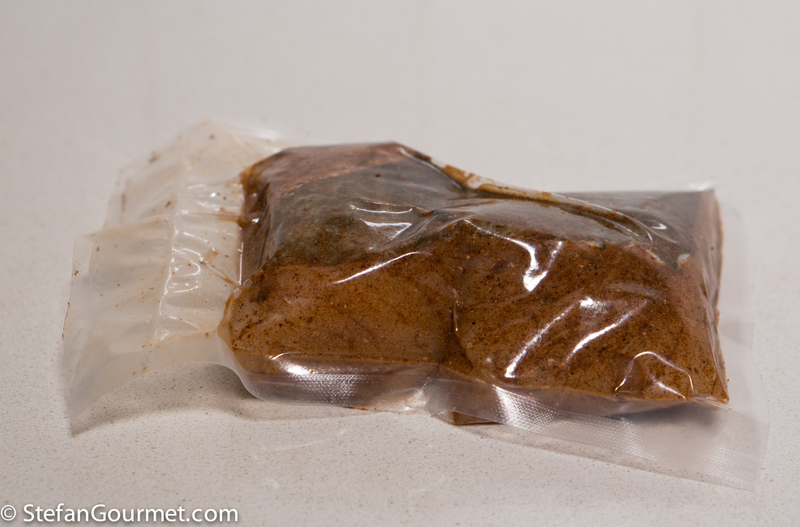 Allow to dry cure for 1 hour in the refrigerator. I vacuum sealed the cod for this step, but that is not required. 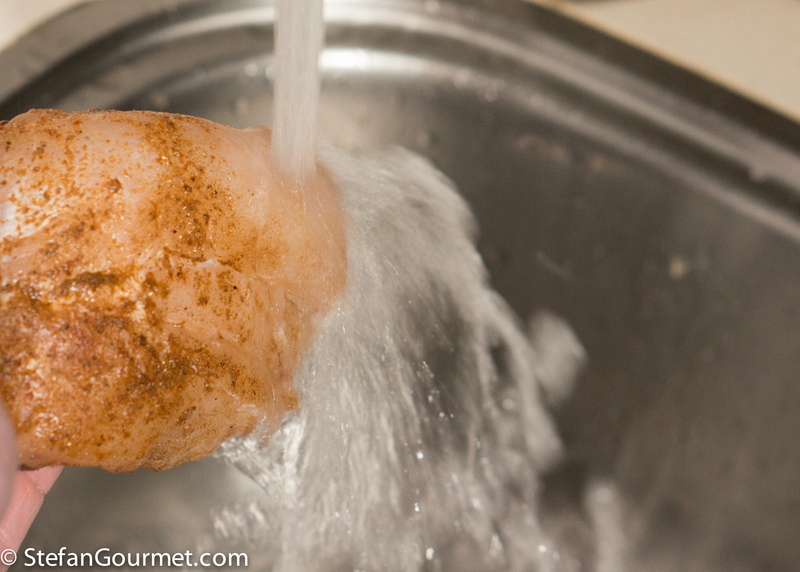 After curing, rinse off the cure, and pat dry with paper towels. 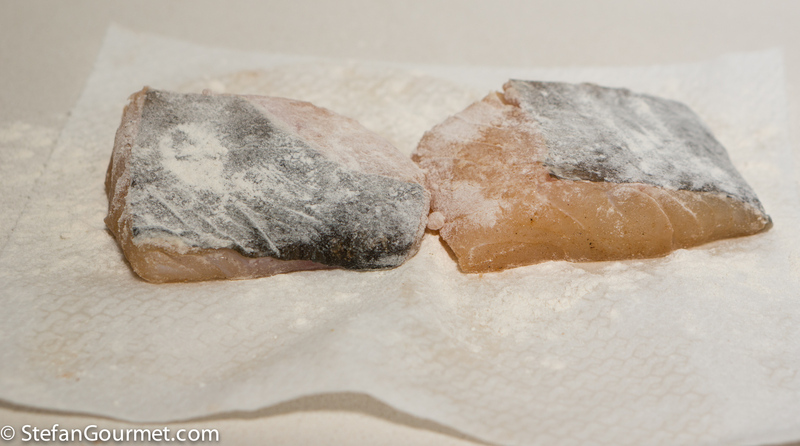 Dust the cod on all sides with flour, shaking off excess. 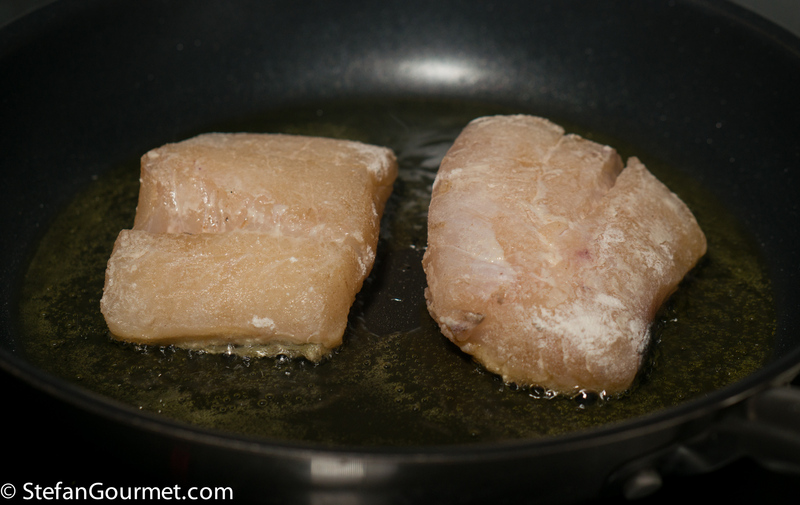 Briefly pan fry the cod on all sides in a non-stick frying pan with olive oil. 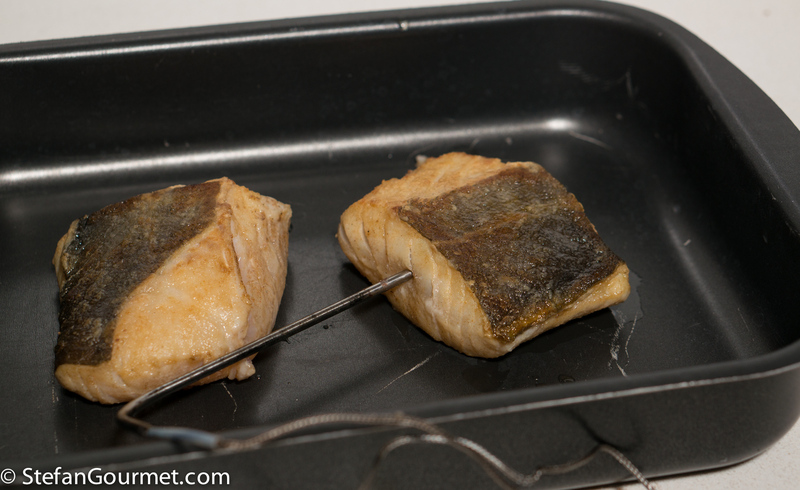 Transfer to an oven proof dish, and insert the probe of an instant-read thermometer such that the tip of the probe is in the center of the fish. 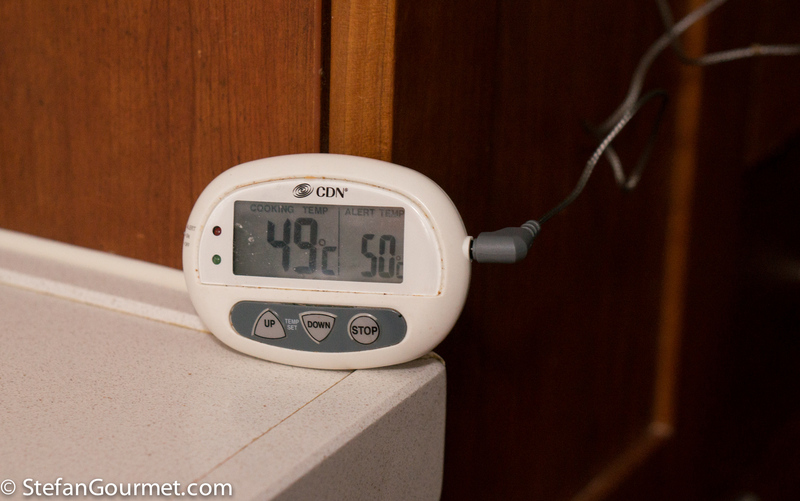 Bake until the core temperature has reached 50C/122F. The fish will have released some juices, that is normal. Serve on preheated plates with a slice of lemon. 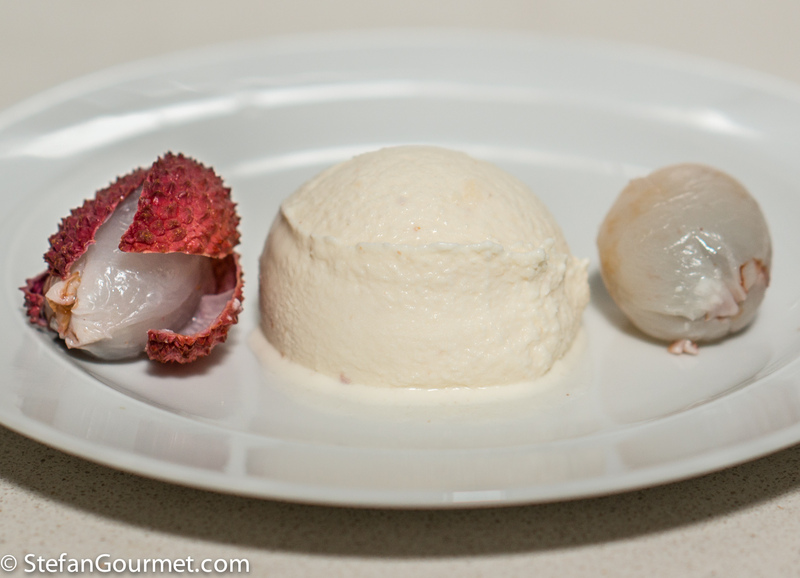 Homemade lychee ice cream has a complex delicious aroma and flavor if prepared with fresh lychees and is a very special treat. Yum! Sounds delicious! I love cod in any ways but I have never tried this one! Sir it deserves a try! Thanks Stefan for sharing! ‘Talvetursk’ would be the romantic Estonian appellation 🙂 ! Naturally cannot access it here but would love to try your very careful additions (1/8 teaspoons od anything not often being on the recipe!) when cooking other fish. Does look the proverbial ‘yum’ !